Welcome back! Hope you enjoyed the extra long break and have had a good first week of term. We’re pleased to welcome a few colleagues back from research leave: Kate Retford, who takes over the role of programme director of the MA History of Art, Steve Edwards and Lynda Nead. Robert Maniura is on leave this term, returning after Easter. As ever, the new term comes with a rich crop of events for your diary. The next Murray seminar is this coming Tuesday 22 January, 5pm in Keynes Library. Peter Fane-Saunders, who is Honorary Research Fellow in the department, will be ‘Reading An Ancient Monument in Renaissance Rome’. 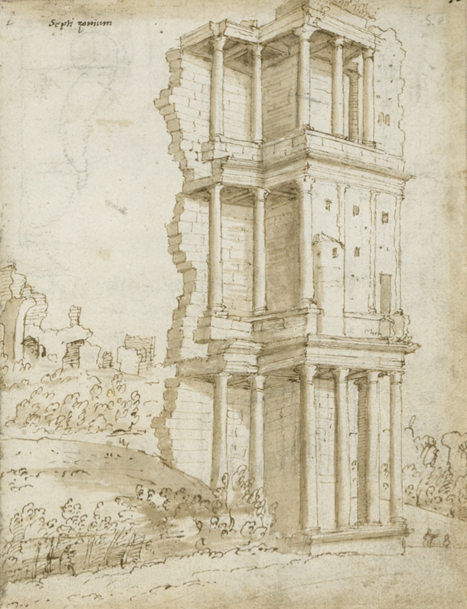 His topic is the memorably-named Septizodium, one of ancient Rome’s most distinctive monuments, and its rich and diverse architectural fortunes; the paper will explore how interpretations of the monument determined the reuse of elements of its design in Renaissance building projects. Come and hear some fascinating original scholarship by a very engaging speaker. The Architecture Space and Society Centre has two events coming up. On Friday 25 January at 5.30, join us for a book launch and discussion marking the publication of two new books by the Centre’s academics: Architecture, Media and Memory: Facing Complexity in Post-9/11 New York by Joel Mckim and The Architecture of Art History: A Historiography by Mark Crinson and Richard J Williams (Edinburgh University). The books will be introduced by their authors, followed by an ‘in conversation’ between them (with me chairing). Then on Friday 8 February, 6pm, the ASSC welcomes a leading American architectural historian, Daniel Barber, from University of Pennsylvania, give the paper ‘Emergency Exit: Architecture and the Oil Encounter’, linking the history of mid-century international style architecture (think glass boxes) with increases in oil supplies. There’s a strong topical dimension; he will also consider the role of architectural history in engaging the contemporary cultural challenges to a low carbon future. Book your place here. Another February date for your diary: on Wednesday 6 February, 6pm in the cinema, Prof. Michael Kwakkelstein, Director of the Dutch Institute of the History of Art in Florence, will give the lecture ‘Leonardo da Vinci: the Motions of the Mind’. 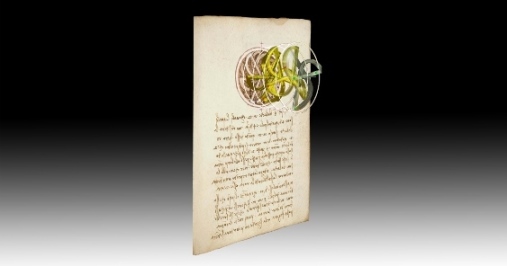 This exciting event marks the opening in the Peltz Gallery of the exhibition ‘Leonardo da Vinci and Perpetual Motion: Visualizing Impossible Machines‘, curated by Dr Juliana Barone, Honorary Research Fellow in the department, in collaboration with the Vasari Research Centre at Birkbeck and Ravensbourne. Book here. More in future blogs! Excellent news from the US (nice to be able to say that…): Mara Polgovsky Ezcurra, Lecturer in Contemporary Art, has received a prestigious honour from the College Art Association, the US professional association of art historians and visual arts academics. She has been named as the recipient of the Art Journal Award for her article “Beyond Evil: Politics, Ethics, and Religion in Léon Ferrari’s Illustrated Nunca más” Art Journal, Fall 2018 (more on the article in a past blogpost). The award recognises the most distinguished contribution to the journal in 2018. Congratulations Mara! We can also announce that we’re accepting applications for two exciting new postgraduate programmes in the department. The MA History of Architecture and the MA History of Photography draw on our distinguished academics in these areas and link up with the lively research culture in architecture and photography. Birkbeck is now on the map as the place to study these subjects at postgraduate level. The new programmes complement our existing postgraduate programmes in History of Art and Museum Cultures. Please contact the admissions tutor, Patrizia Di Bello (p.dibello@bbk.ac.uk), for information and advice on applying.